How to know if your resume has an objective statement that helps or hurts. This is a guest post by Paula R. Stern. Does your resume have an Objective Statement that starts with something like, “A responsible position allowing me to fully utilize my professional skills and which provides me with an opportunity for professional advancement”? If it does, consider that you've just asked a potential employer to read 20+ words that say absolutely nothing and risked having that person close your resume rather than learn what you can really do for them. This could be the fastest way to lose a job before they even read your resume. When going through the job-seeking process, it is very important to understand the stages and the roles of the documents that support each stage. 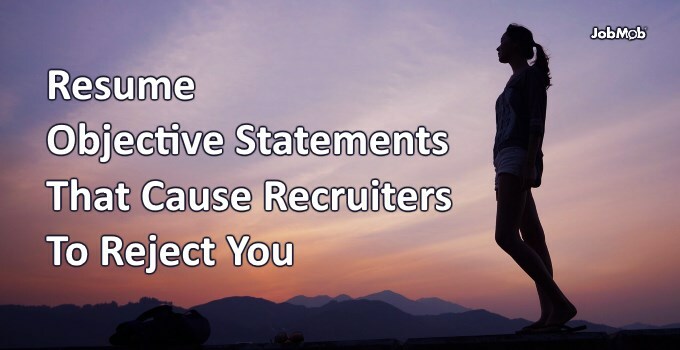 Did you include an Objective Statement in the last resume you sent? In today’s job hunting environment, most jobs involve emailing your resume to someone. Too many job seekers fail to realize that the job of the cover letter is to get the recipient to open the attached resume. That’s all. No one gets a job because of a cover letter, but if the recipient opens the resume, the cover letter worked brilliantly. I receive dozens of emails from people looking for work, maybe even hundreds over the period of a year. If I receive a blank email, I am as likely to delete the email as I am to open the resume. Perhaps even more so. My feeling is best summed up simply be explaining that if you can’t be bothered to write me a brief note, why should I feel obligated to open the resume? Like the cover letter, the role of the resume is not to get you a job. It’s to get you an interview. If you are called and asked to come to a company, your resume worked. From there, the process goes on, but what is in the resume is critical – every line, every bullet, every section. Your name and address should be placed at the top of the page or file, not on the sides, not on the bottom. Resume Objectives that… attract or repulse? The next big question I have often been asked to discuss, is what to put in the Objective portion at the top of the resume. Understand that a manager will glance quickly at a resume and decide in seconds whether to bother reading further. In a sense, the manager is looking more for reasons not to continue reading, rather than trying to gain a true assessment of how you can fit into their company. Is a resume Objective needed? Does it add or detract from the resume? Here are a few rules for deciding whether to include it or not. 1) Who will see your resume? If you apply directly to the person who has advertised the job and is responsible for hiring the ideal candidate, the resume Objective Statement may well be redundant. Even more, it may be distracting. On the other hand, if you are sending your resume to the Human Resources department or to a general email address within a company, the Objective Statement can be helpful in directing your resume to the proper person within the company. If you are applying for a specific job and your resume clearly reflects that direction, the Objective Statement may not be necessary. After all, it is obvious you are a dentist, a technical writer, a translator, etc. Nothing is gained by stating the obvious and given that you have only seconds to impress the recipient, it is often best that they begin reading your background information, rather than confirming you are looking for the job they are offering. After all, if you weren’t interested in the job, you would not have sent it to them, right? On the other hand, if you are applying for multiple positions within the company because your goal is to get a job and you hope by seeing your abilities, the recipient will decide you match “one of” the jobs that are available, rather than “the” job that was advertised, a good Objective on your resume may well open additional possibilities. 3) Finally, what should you write in the Objective Statement, if you decide to include it? It is very important to make the Objective Statement as directed as possible. You can damage your positioning or lower their impression of your abilities by making it too broad. If I see an Objective Statement that states the person is seeking a position as a technical writer, editor, or translator, my first impression is that they should make up their minds what they want to do. My second thought is to wonder if I offer them the job, will they leave it as soon as their “true” objective is offered somewhere else. Don’t include a statement of your personal abilities. Though you may be a team player, quick to learn, responsible, etc. these are only words until proven. The proof should be in the sections that follow, in your Experience and Education. The goal of the resume is to impress the recipient enough to invite you to an interview. If they are so busy reading the Objective Statement, they are delayed in getting to the important sections that follow. Who you are and what you can do, is best represented by the Experience and Education sections. While there are times that an Objective in a resume is important, even critical, there are often times when it can work against the job seeker. If it is too long, if it is too broad, if it is too obvious or redundant, the damage may be enough to create a lost opportunity. On the other hand, a resume without an Objective Statement may be lost in the vast network of job seekers. It may not open other doors if the particular door of interest isn’t available to you. So, should you have an Objective for your resume? While this is a decision you have to make based on many factors, the most important consideration is what you plan to put into it. A short, direct, proper, Objective Statement may help you land the job of your dreams; a long and winding Objective Statement may well close doors of opportunity as quickly as the manager will close the resume you sent them. Like all elements of your resume (and your cover letter), if you choose to include an Objective Statement, spend time reviewing it so that it is concise, clear and relevant. Do You Really Need A Résumé Objective? Paula R. Stern is the CEO of Writepoint Ltd., a leading technical writing company in Israel providing comprehensive documentation and training services to Israel’s hi-tech companies. WritePoint was founded in 1995 and has been providing quality documentation at affordable prices ever since. Paula can be reached at paula@writepoint.com. Paula is the list owner/moderator of Techshoret and is an Adobe Community Professional. Subscribe to JobMob via RSS or email and follow me on Twitter to make sure your resumes are helping your job prospects. When you mean a cover letter, do you mean a brief email explaining who you are and what position you are applying for, or a full page life story that also covers your goal, outlook on life, and why this job will help you further them? Cover letter mean different things to different people. By cover letter – I mean, at minimum, an email of any type that shows you recognize you are asking the receiver a favor – that of opening your resume. Who you are, what position you are applying for – perhaps something personal about yourself. No, not your whole life story, outlook on life, etc. Thank you very much for this. The objective statement is, in my opinion, the most difficult part of the resume – even if the theory is well-understood. Some good examples would be lovely. Very nice article on using or not using Objective Statement. I tell individuals they need to use hard skills as opposed to soft skills, IF they use an objective statement. I define a hard skill as something that is relevant (if not required) to the position. Even if you are going for a secretary position you wouldn’t say ‘type’, without say how fast. As for WORD, I don’t think there is a person that works with a computer that doesn’t know how to use WORD. again, great information on this important part of a resume. Thanks, Osnat – I’m glad you enjoyed my post. I agree, the Objective statement is indeed a difficult part to write. Personally, I am still very ambivalent to it. And, thanks Todd, as well, for your comment. My one response, though, as a technical writing teacher, is that there are indeed many people who do not know Word to the level that technical writers, for example, do (or to any real level at all, in some cases). Thus, qualifying not just that you know Word, but how well you know it is certainly important. Since I have just finished combing through hundreds of e-mailed resumes for several positions, from administrative to clerical, I have to agree with absolutely everything you have said! No cover letter- gets deleted….. “objective statement” that either tells me nothing or is exactly (word for word) the same as 20 others…. deleted….. cover letter or resume where I cant tell where you are located: deleted….. and so on. The cover letters that showed that the person actually READ my ad…. those got a look, unless the spelling and grammar were atrocious- I have two words for job seekers: SPELL CHECK! Oh and grammar check wouldn’t hurt either! Thanks for a terrific article- people should pay attention!!!! Thanks, Sharon – it was actually fun to write this because I got to pour our a bunch of my pet peeves. I completely agree with all of the above. When I was a tech. comm. graduate student teaching at my university, I told my students to basically forget about including an objective statement when we covered resume/cover letter writing. It really doesn’t serve much of a purpose unless you’re blanketing a company with your resume trying to find a general position. After all, your objective is to get the job for which you’re applying – seems redundant to restate that with flowery prose on the resume when that little bit of extra space can be put to better use :). This is such a helpful post! 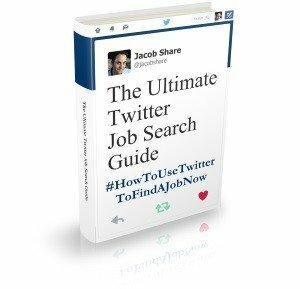 It’s chock-full of specific information to pull together a strong resume. Definitely a keeper. Absolutely! In general, I tell the students in my technical writing class that they don’t even need the Objective Statement and it just takes up valuable room on the page – if they are sending their resumes directly to documentation managers who have posted a job opportunity. The Objective Statement becomes relevant when you aren’t sure who will receive it, if the company has more than one opening and you want to apply for a specific job, etc. Thanks for taking the time to comment on the blog post. In Israel, especially in Israel, I am not sure that a full address is required or even adventitious on a resume. Your name, telephone number, and Email are all quite important – where I live can be used against me so I prefer to leave that off. Thanks for the great tips I love that the view comes from someone who reviews resumes. I long ago deleted the statement for my resume, recently though, I have had my resume reviewed by the Labor Dept. where I live and it was suggested to put it back, I did, but I think it is pointless. I have shared and bookmarked it for reference. Thank you. Flip side – would you want to work for a company that would think poorly of you based on where you live? I had a student who lived in Ashkelon. He called it “the end of the earth” and said he was going to write Jerusalem on his resume instead. I thought it was a terrible idea and strongly suggested he not lie. I told him better to leave it out than lie about it. I’ll say the same. I have never turned down a writer because of where he/she lived. If I was concerned, I asked them how they felt about a long commute. I live near Jerusalem – I travel regularly to Netanya and have been for the last 12 years. True, it isn’t a daily commute, but it is often a weekly or even twice a week, at times. I think your advice on the Objective Statement has merit, depending on the issues I detailed in my post. I strongly disagree with you about the cover letter. Perhaps some people don’t read it – in which case, since you aren’t paying by the word, it doesn’t hurt you. Others feel very strongly about the cover letter and not having it will hurt you. So, to be safe, error on the side of putting in a cover letter. Keep it brief and to the point and with the proper contents. 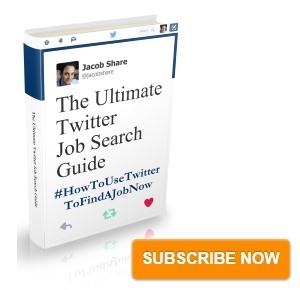 I’m hoping to write another post for JobMob on the cover letter (if Jacob wants it). Thanks Amos and Patricia for reading and commenting! Seeking a sales role within medical or healthcare. What else is there to say? Too many words is….well, too many words. I agree that the objective statement should be very short and simple. The point of this post was more to promote someone considering if they should include one (why they should, how it can harm them or help them). Thanks for your comment! I’m reasonably certain I’ve seen this article before, and even bookmarked it! Very helpful. Thank you. I have learned specially one major lesson from this illustration “Job Objectives Statement in Resume” that emphasize your strengths on your resume, in your cover letters and in your interviews. It may sound obvious, but you’d be surprised how many people simply list everything they’ve ever done. Convey your passion and link your strengths to measurable results. Employers and interviewers love concrete data.